“It’s always exciting to take the creative pulse of a city. The photography scene in Denver keeps surprising me with its talent and range and those qualities are unmistakable in this exhibition” – Katherine Ware, exhibition juror. Closing Reception and Artist Talks: Saturday, August 22, 3 – 5 pm. Location: CPAC Gallery, 1513 Boulder St, Denver CO 80211. Exhibiting artists are invited to talk about their winning entries beginning at 3.30 pm. 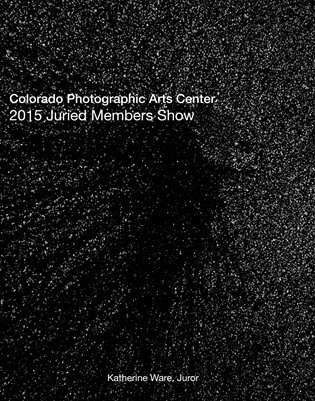 CPAC’s annual members’ photography exhibition this year features 41 images by 25 photographers chosen by Katherine Ware, Curator of Photography at the New Mexico Museum of Art, Santa Fe. Kate also picked an additional 32 images to be included in the exhibition catalog. A $300 purchase award for Best of Show was awarded to Karen Kirkpatrick by Kate at the reception. The selected image will become part of CPAC’s permanent photography collection. Three Honorable Mention awards were also made to Samantha Johnston, Thomas Carr, and Susan Goldstein. A limited number of exhibition catalogs are available at the gallery for $16 plus tax. Copies can also be purchased online for $25 below. Exhibition Artists: Brenda Biondo, Austin Buckingham, Elizabeth Cairnes, Thomas Carr, Fee Chin, William Wesley Douglas III, Malcolm Easton, John Flaig, Susan Goldstein, Kevin Hoth, Samantha Johnston, Siobhan Keleher, Karen Kirkpatrick, David Kussie, Matthew Eric Lit, Erica San Soucie, Paul Sisson, Jane Szabo, Julia Vandeneover, Melanie Walker, Genevieve Waller, Siru Wen, Gene Wheeler, Mike Whiteley, Caleb Zwanzig. Additional Catalog Artists: Raymond Bleesz, Becky Chapman, Matthew DeFoe, Michael Ellis, Adam Grabowski, Portia Hensley, Ronald Kachelmeier, Eileen Keator, Brenda LaBier, Dexter Lane, Harry Longstreet, Melissa Lynn, Rodney Mahaffey, Frank Mercado, Francisca Morgan, Robert Newman, Meg O’Neill, Camilo Ramirez, Jenna Rice, Haley Jane Samuelson, Brianne Sanchez, Wendi Schneider, Kyra Weinkle, Lela Wulsin, Marthanna Yater. 2015 Juried Members Show Catalog featuring the work of over 40 artists!